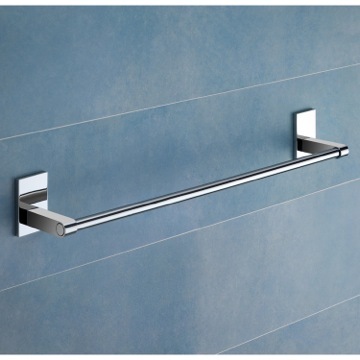 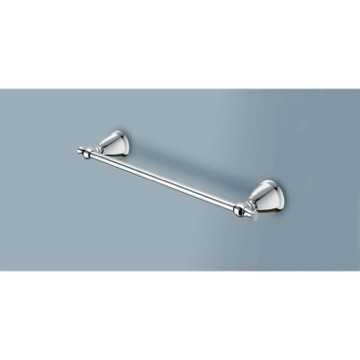 You will fall in love with the svelte styling and square style elements of this polished chrome towel rod. 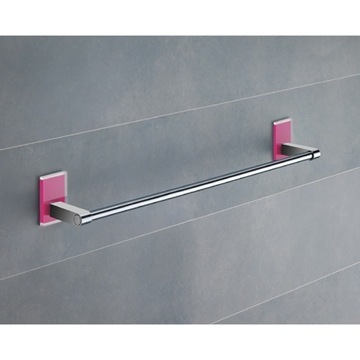 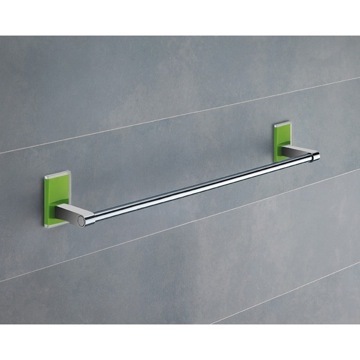 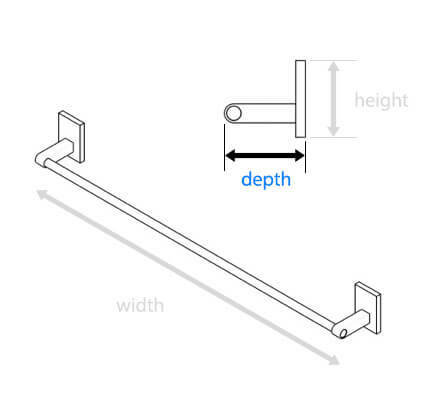 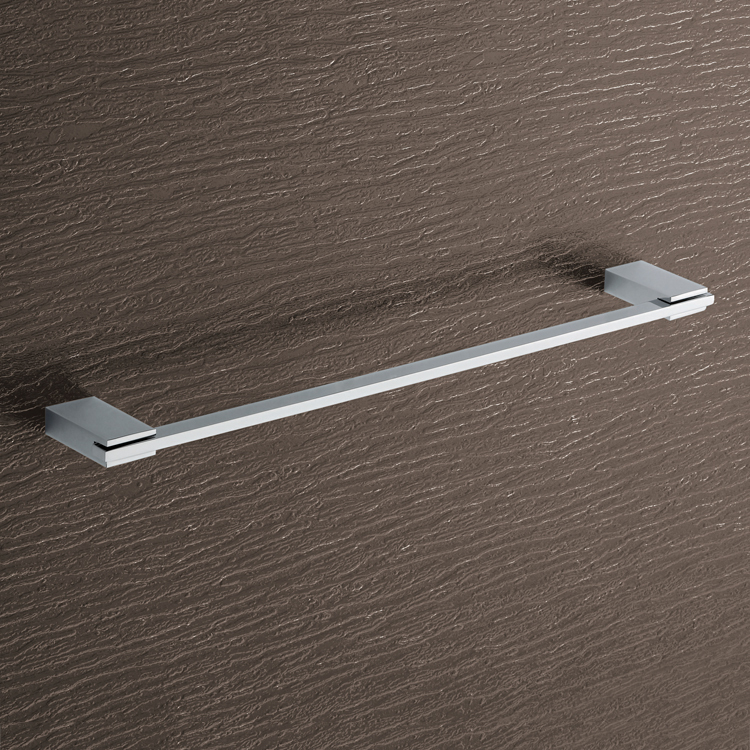 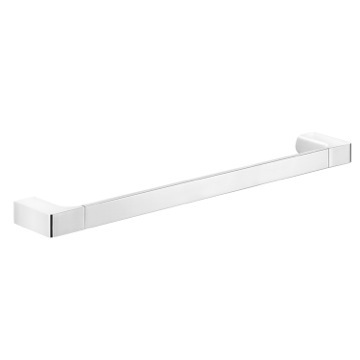 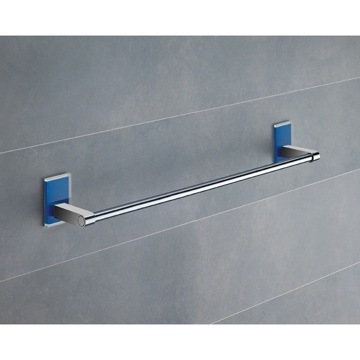 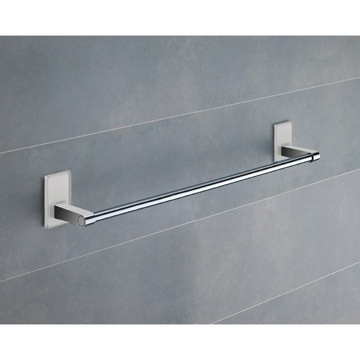 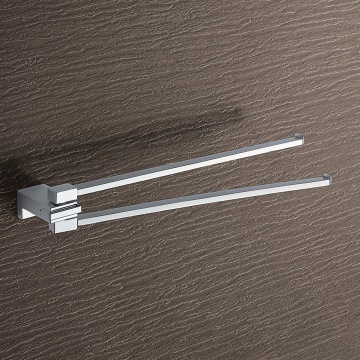 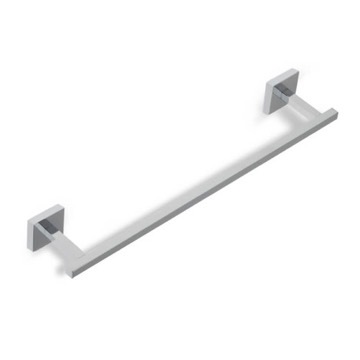 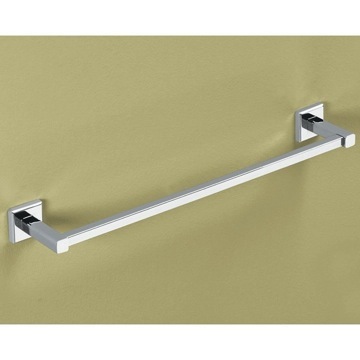 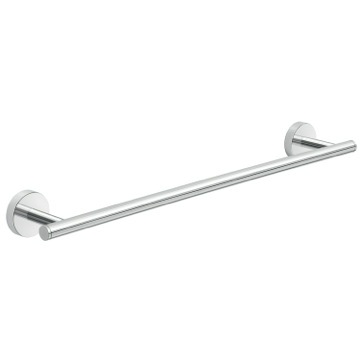 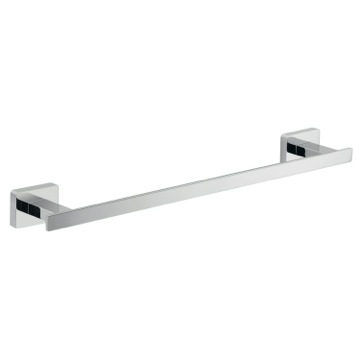 This modern 18 inch towel bar is just large enough to handle the bulkiest towels with ease and is finished in chrome. 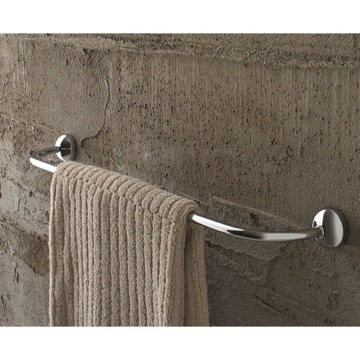 Brass construction means that this towel bar will last and last. 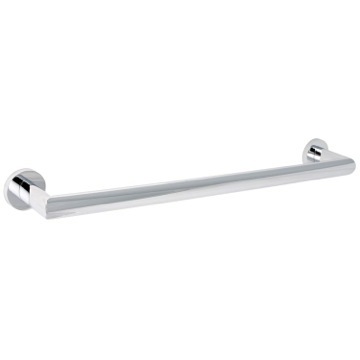 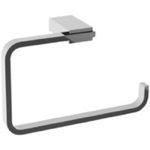 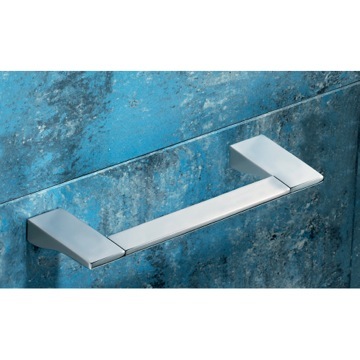 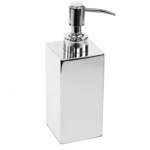 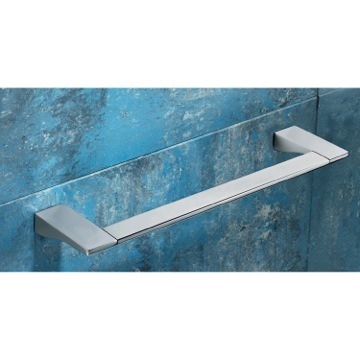 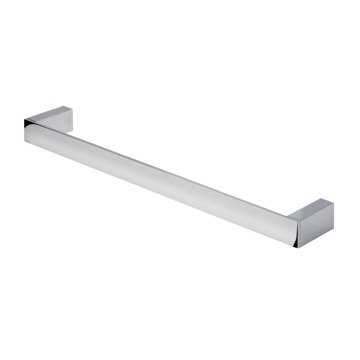 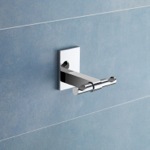 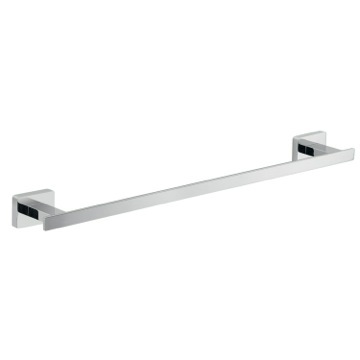 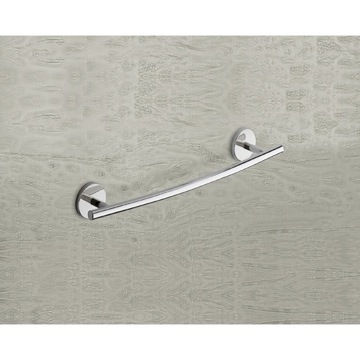 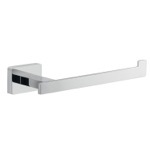 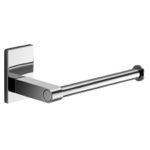 Modern 18 inch polished chrome towel bar or towel holder. 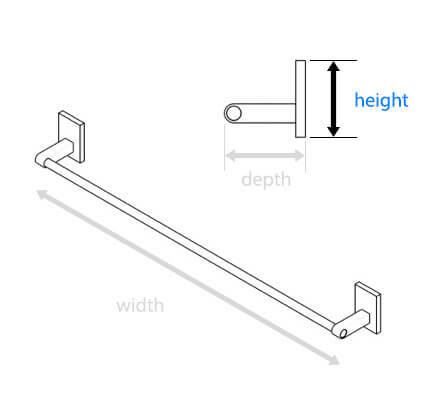 18 inches in length, squared shape. 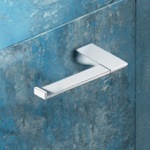 It is a beautiful design. I will be ordering more as we remodel our home. 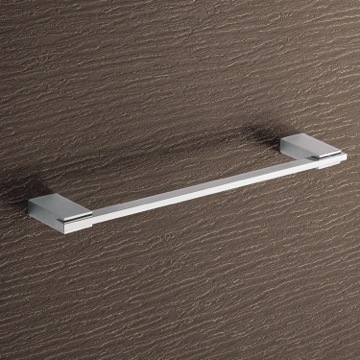 Fantastic quality awesome modern look I could not be happier . Friendly responsible efficient customer service products arrived the next day . 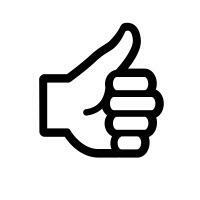 I will be a repeat customer ! 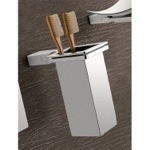 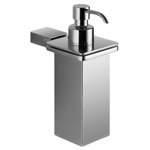 Looks awesome and compliments our modern style in the bathroom. 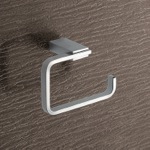 Beautiful design.Solid construction.We are very happy with it. 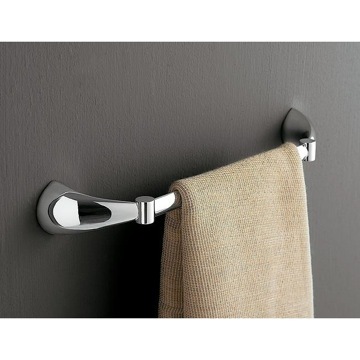 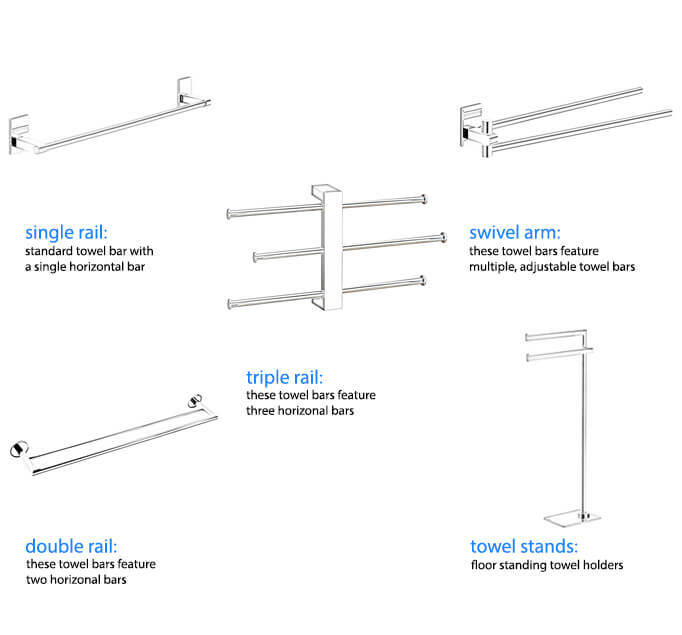 Looking online for towel racks, tissue holders, etc. 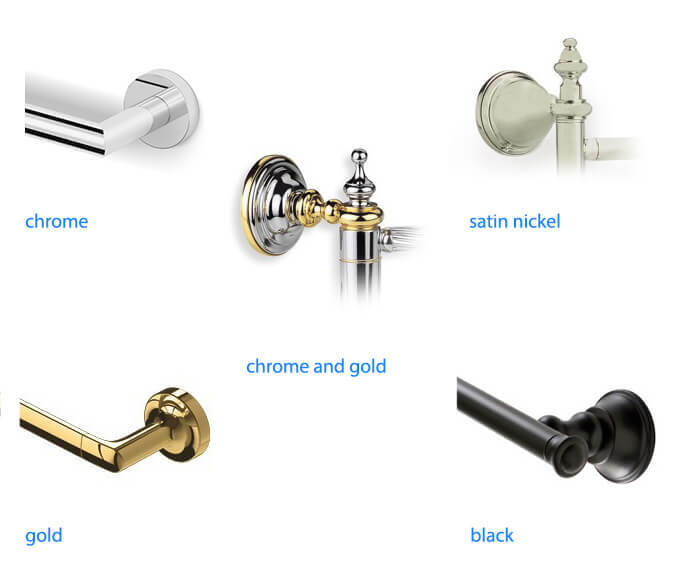 for our remodeled bathroom, I happened on the Bath Outlet.com and was pleasantly surprised at how easily I was able to negotiate the site (being an 82 year -old Luddite). 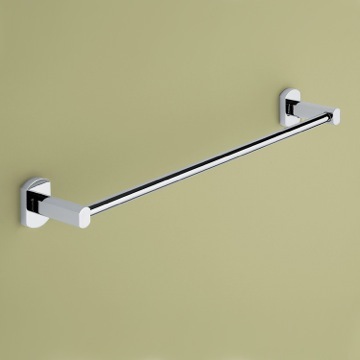 Nevertheless, when I realized that I had forgotten one crucial towel rack, the humans at the Bath Outlet were courteous and efficient and fixed my error quickly. 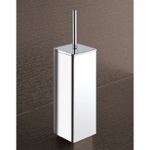 We really like the fixtures I selected and they came promptly, properly wrapped. 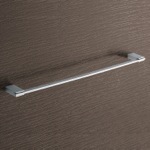 We are very happy with the product and the service. 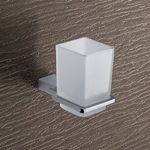 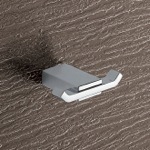 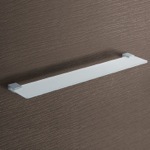 The fixture attaches to the wall via mounting plate with a set screw. 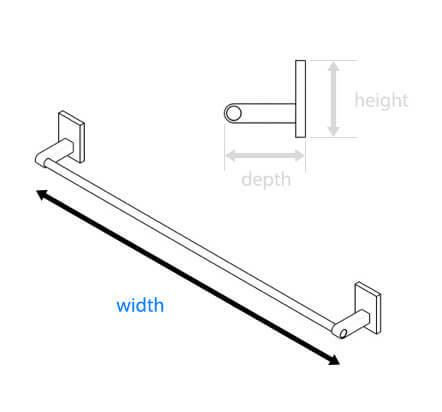 If the set screw comes loose, it can simply be retightened with the provided allen key. 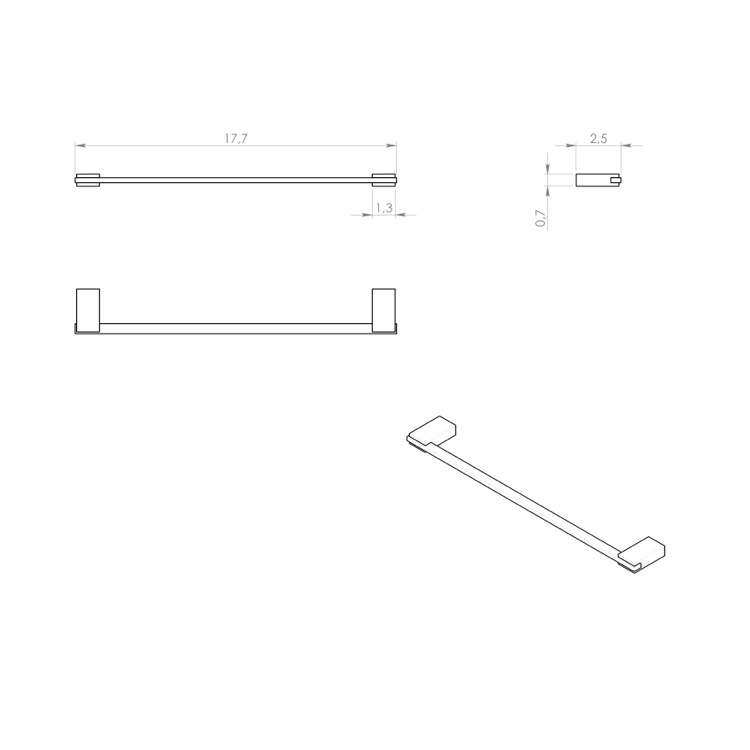 The item does not have the capability to be mounted to a cabinet without customized installation materials and would need to be discussed with your installer.